David joined BCG in 2017 as a senior consultant based out of the corporate office in Boston, and is responsible for marketing, new business development, and client relationship management. David works with advisors, plan sponsors, actuaries, administrators, and ERISA counsel, with respect to all aspects of BCG service delivery. Prior to joining BCG, David was the product owner and senior manager for the defined benefit product at Empower Retirement, and was responsible for all aspects of defined benefit plan services, sales and operations. 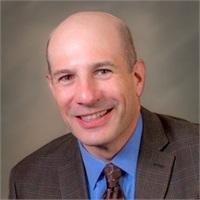 He has extensive experience, with more than 25 years in the retirement industry, encompassing actuarial, consulting, compliance and administration for many types of defined benefit and defined contribution plans. David holds a Bachelor of Science in Mathematics from the University of Louisville and holds a master’s degree in business administration from Clark University Graduate School of Management. He currently maintains his CEBS designation with the International Foundation of Employee Benefit Plans. David is an avid outdoorsperson and is actively involved with the Appalachian Mountain Club and Dana Farber Cancer Institute in Boston, MA.